Continue Reading Cadillac Tax Repeal on the Horizon? Each new year brings new limitations, and the Internal Revenue Service has released its annual cost-of-living adjustments applicable to employee benefit plans. A year-to-year comparison of limitations applicable to plan sponsors can be found here: 2019 Annual Limitations Chart. Reflecting a slight increase in inflation over the past year, several benefit plan limitations will increase for 2019. The IRS continued its trend from the prior year by increasing the elective deferral limitation for defined contribution plans from $18,500 to $19,000. Additionally, the limit on compensation taken into account under qualified plans will rise from $275,000 to $280,000. Health and welfare plan participants will also benefit from various increases. The amounts participants are allowed to contribute to health care flexible spending accounts and health savings accounts will increase, while dependent care assistance will remain stagnant for another year. Small employers taking advantage of the opportunity to provide Qualified Small Employer Health Reimbursement Arrangements (QSEHRAs) to eligible employees in 2019 can provide increased reimbursements of up to $10,450, from $10,250, for family coverage. (QSEHRA maximums for self-only coverage will increase from $5,050 to $5,150.) Plan participants will also have the opportunity to increase their contributions for qualified transportation expenses from $260 to $265 per month. The Social Security Tax wage base will increase significantly as compared to prior years, from $128,400 to $132,900. However, FICA tax and Social Security tax percentages will remain the same. In a case of first impression, a federal district court in the Southern District of Texas has ruled that a former parent company’s stock was not an “employer security” under section 407(d)(1) of the Employee Retirement Income Security Act of 1974, as amended (“ERISA”). As a result, the ERISA exemption from the duty to diversify and the duty of prudence (to the extent the latter requires diversification) were not available where a plan held former parent company stock in a legacy single-stock fund. Although in this case plaintiff participants’ claims were ultimately dismissed, the decision should be on the radar of fiduciaries of plans holding significant amounts of former employer securities. As background, in 2012, Phillips 66 Company, Inc. (“Phillips 66”) spun off from ConocoPhillips Corporation (“ConocoPhillips”) and sponsored a new defined contribution plan with an employee stock ownership plan (“ESOP”) component, as had ConocoPhillips. In addition to newly issued Phillips 66 stock, however, Phillips 66’s new plan also held more than 25% of its assets in a frozen ConocoPhillips stock fund that was transferred from the old plan in connection with the Phillips 66 spinoff. When the value of ConocoPhillips stock held by the Phillips 66 plan dropped, participants sued the plan’s investment committee and its members, along with the plan’s financial administrator, alleging imprudence and failure to diversify plan assets in violation of ERISA. In reply, defendants argued that ConocoPhillips stock was not subject to the duty to diversify, as those shares were “employer securities” when issued; ConocoPhillips was previously the employer of the participants. Therefore, defendants argued, ConocoPhillips stock remained exempt from the duty to diversify despite Phillips 66’s spin-off from the ConocoPhillips controlled group. The court rejected this aspect of defendants’ argument, holding that stock does not indefinitely retain its character as “employer securities” for purposes of ERISA’s diversification and prudence requirements. Ultimately ruling in favor of defendants, the court held that ERISA’s diversification and prudence requirements were not violated because the plan’s investment lineup overall was diversified, public information on the risks of ConocoPhillips stock was reflected in its market price, and because the claims about procedural imprudence lacked factual support in the complaint’s allegations. The Schweitzer court also emphasized that participants were free to shift their ConocoPhillips holdings to other investment options under the plan. In welcome news, the IRS reversed its course on the maximum annual health savings account contribution for a family with high deductible health coverage. As you may recall, the IRS initially set the maximum 2018 HSA contribution for family coverage at $6,900. In March 2018, the IRS lowered that maximum to $6,850. Via Rev. Proc. 2018-27, the IRS announced its decision that—notwithstanding its March guidance—it would allow taxpayers to treat $6,900 (not $6,850) as the maximum family HSA contribution for 2018. The IRS also provided relief for those taxpayers who had already contributed between $6,850 and $6,900 to an HSA for 2018, and then received a distribution of that excess amount plus earnings based on the IRS’s March guidance. Forms of relief include timely repaying the distribution to the HSA, retaining the distribution as an excess contribution, or, if attributable to employer contributions, using it to pay qualified medical expenses. We have updated our previous limitations post to reflect these changes, and will continue to do so should further changes arise for 2018. On March 5, 2018, the IRS announced adjustments – effective immediately – to various annual limitations already in place for 2018. One such adjustment is to the maximum annual health savings account contribution for a family with high deductible health coverage. Previously set at $6,900 for 2018, the IRS has lowered the limit to $6,850, based on a change to the calculation of cost-of-living adjustments under the Tax Cuts and Jobs Act. (The maximum annual health savings account contribution limit for single coverage was not affected.) Employers sponsoring high deductible health plans will want to consider how to communicate this late-breaking change, and its impact, to their health plan participants. For example, individuals making contributions to their health savings accounts each payroll period may want to adjust their elections so as not to exceed the limit for 2018. Those who have already contributed the full $6,900 should consider seeking a distribution of the excess $50 contribution prior to the end of 2018 in order to avoid adverse tax consequences. In the same guidance, the IRS also lowered the maximum per child adoption assistance credit for 2018 from $13,840 to $13,810. We have updated our previous limitations post to reflect these changes, and will continue to do so should further changes arise for 2018. In a previous post, we compared lawsuits against stable value funds for being too risky or too conservative to Goldilocks’ problem of having the porridge be just right—not too hot or too cold. For stable value funds, it turns out, the porridge cannot be too cold. At least that was the opinion of the First Circuit, which became the first appellate court to rule on stable value funds. The opinion, issued on February 21, 2018, upheld the dismissal of a claim on summary judgment that Fidelity’s stable value fund was too conservative. Ellis v. Fidelity Management Trust Company, No. 17-1693 (1st Cir. 2018). In Ellis, members of Barnes & Noble’s 401(k) plan sued Fidelity for offering a stable value fund called the Managed Income Portfolio (MIP). In the MIP, Fidelity allocated “investments away from higher-return, but higher-risk sectors,” partly in response to the 2008 financial crisis and partly to secure wrap insurance as insurers exited the market. The MIP exceeded its conservative benchmark, but produced lower returns than competitors’ stable value funds. Plaintiffs claimed this violated Fidelity’s duty of loyalty and prudence to plan participants. The court admonished the plaintiffs for ignoring “basic and obvious market incentives.” Plaintiffs’ loyalty theory largely centered on the assertion that Fidelity prioritized its interest in securing wrap insurance over the beneficiaries’ interest in higher returns. But by publishing a more conservative benchmark than its peers, Fidelity risked market share as there were “innumerable options available.” In a line helpful in more than just stable value fund cases, the court noted it is not disloyal for a fiduciary to take an action “aimed at furthering an objective [the fiduciary] shared with the beneficiaries,” such as a lower-risk investment option. As for imprudence, the court found the same problems with plaintiffs’ disloyalty claims. The court stated plaintiffs “offer[ed] no authority, and we are aware of none, holding that a plan fiduciary’s choice of benchmark, where such a benchmark is fully disclosed to participants, can be imprudent by virtue of being too conservative.” As a practical matter, it would be hard or impossible to articulate a standard by which to determine if a benchmark is too conservative. It is not hard to imagine Ellis will lead to fairytale endings for other defendants. In Goldilocks, the girl never returned to the home of the three bears again. While companies cannot be as certain that stable value fund lawsuits will never return, Ellis gives defendants a strong ally in chasing away such cases. The Tax Cuts and Jobs Act (Tax Act) did not directly modify the rules governing hardship withdrawals from 401(k) plans. However, one change enacted by the Tax Act does necessitate a careful review of 401(k) plan hardship withdrawal language and could impact the administration of hardship withdrawal requests. Further, the Bipartisan Budget Act of 2018, enacted on February 9, 2018 (Spending Act), makes certain changes to the statutory rules governing hardship withdrawals and requires that the IRS make certain additional changes to applicable regulations. It will be important for 401(k) plan sponsors to understand these recent changes, monitor related IRS guidance, and assess whether changes in administration of hardship withdrawal requests and/or plan amendments are required. 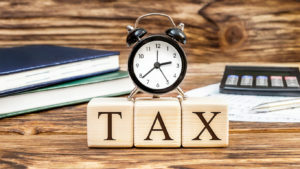 Among the many changes made by the Tax Act is a narrowing of the circumstances under which taxpayers may be eligible for a deduction under Section 165 of the Internal Revenue Code (Code) with respect to a casualty loss. For tax years beginning before January 1, 2018, a taxpayer could potentially take a casualty loss deduction pursuant to Section 165 for uncompensated damage to the taxpayer’s home resulting from any fire, storm, flood or other isolated incidents. Under the new law, however, in order to be deductible under Section 165 for a tax year beginning on or after January 1, 2018 and before January 1, 2026, the loss must result from a Federally-declared disaster. The change to Section 165 of the Code may indirectly impact whether a hardship withdrawal is permitted under many 401(k) plans. Often 401(k) plans that allow hardship withdrawals rely on “safe harbors” set forth in IRS regulations for determining whether a request satisfies the regulations’ requirements. One of the safe harbor reasons for determining whether the request relates to an immediate and heavy financial need (a requirement for hardship withdrawals) is to cover expenses for the repair of damage to the participant’s principal residence that would qualify for the casualty deduction under Section 165 of the Code (determined without regard to a minimum threshold that applies to the casualty loss deduction). When a plan document specifically cross references deductibility under Section 165, permitting a withdrawal for expenses that result from an isolated incident could now be contrary to the plan’s terms. For example, the Tax Act’s changes to Section 165 may prevent a hardship withdrawal by a participant who incurs expenses to repair damage to his or her principal residence resulting from an isolated incident, such as a fire or thunderstorm. It isn’t clear whether Congress intended to narrow the circumstances in which a hardship withdrawal may be taken when enacting the change to Section 165, and it’s possible that the IRS will publish guidance obviating the need to impose the Federally-declared disaster requirement in the hardship context. In the meantime, however, it’s important for a 401(k) plan sponsor to be sure that its tax-qualified plan is administered in accordance with the plan’s terms. Therefore, the Section 165 changes should be taken into account if necessary in light of plan language, or plan administrators should forego use of the IRS safe harbor and plan documents should be amended if necessary to align with administration. While reviewing plan documents and administration in light of the foregoing Tax Act change, plan sponsors should also consider future changes to hardship withdrawal administration to take advantage of additional flexibility enacted by the Spending Act, which apply to plan years beginning after December 31, 2018. The Spending Act directly expands availability of hardship withdrawals to qualified nonelective contributions, qualified matching contributions, and earnings, which amounts are not eligible for distribution due to hardship under current rules. Further, the Spending Act modifies current rules that require a participant, in some circumstances, to have exhausted any available plan loans before taking a hardship withdrawal. Finally, in addition to the safe harbor described above, under current IRS regulations, a hardship withdrawal will be deemed necessary to satisfy an immediate and heavy financial need (also a requirement for hardship withdrawals) if certain requirements are met, including that the participant is restricted from contributing to the plan and all other plans maintained by the employer for at least six months after taking the withdrawal. The Spending Act directs the IRS to modify the regulations so that the six-month suspension is not required to rely on the safe harbor.